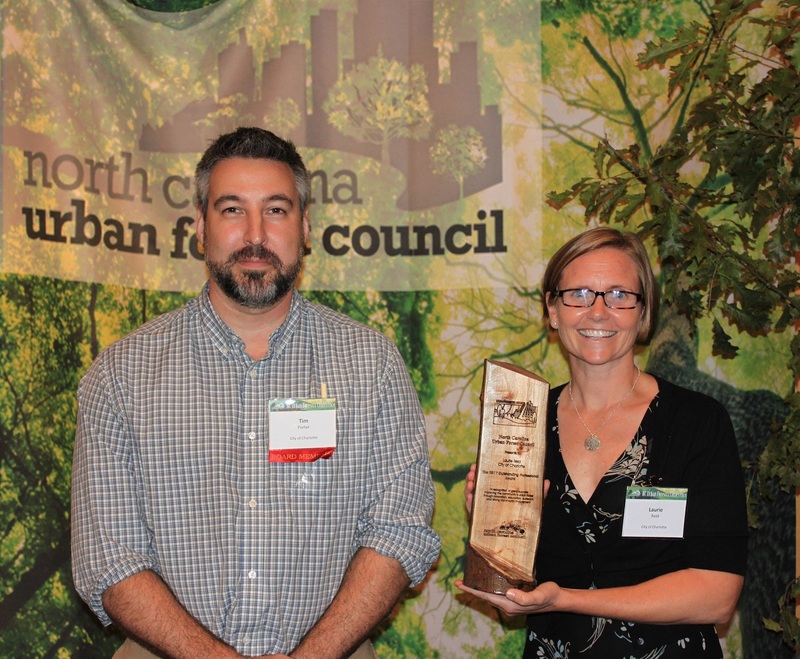 Every year, the NC Urban Forest Council is honored to present statewide Urban Forestry Awards. These distinguished awards recognize communities, organizations, and individuals for outstanding work in protecting and enhancing our community forests. 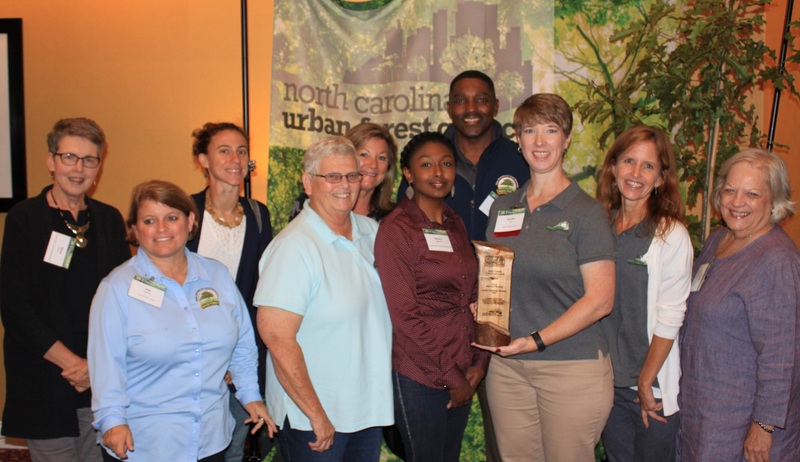 An Urban Forestry Award serves to recognize and commend those who have been committed to creating healthy urban forests and raising community awareness of the importance of these types of projects. Projects result in significant enhancement of the urban forest. Program accomplishments represent significant change for the betterment of the resource, setting a standard for future community forestry endeavors. Recognized activities have taken place within the past 3 years. Outstanding Individual Award in 2015 was presented to Don King, who has been the hands-on, driving force behind the Town of Oriental's Tree Board since its inception. Ken's dedication to the restoration of Oriental's tree canopy has made him a role model for tree-related volunteers across the state. The City of Rocky Mount received the Outstanding Project Award in 2014 for its outstanding level of effort incorporating proper urban tree species into its revitalized streetscape. City staff set a commendable example of dedication to right tree in the right place throughout the planning, installation, and maintenance stages of the project. The City of Wilson’s Appearance Commission has worked closely with the city arborist, city council, and other public and private organizations to coordinate all of the activities that involve trees...everything from tree planting, inventories, and surveys, project plan approval, and education. They have helped initiate a project within the city using Urban Offsets. For these efforts, the Wilson Appearance Commission received the Outstanding Tree Board Award in 2016.